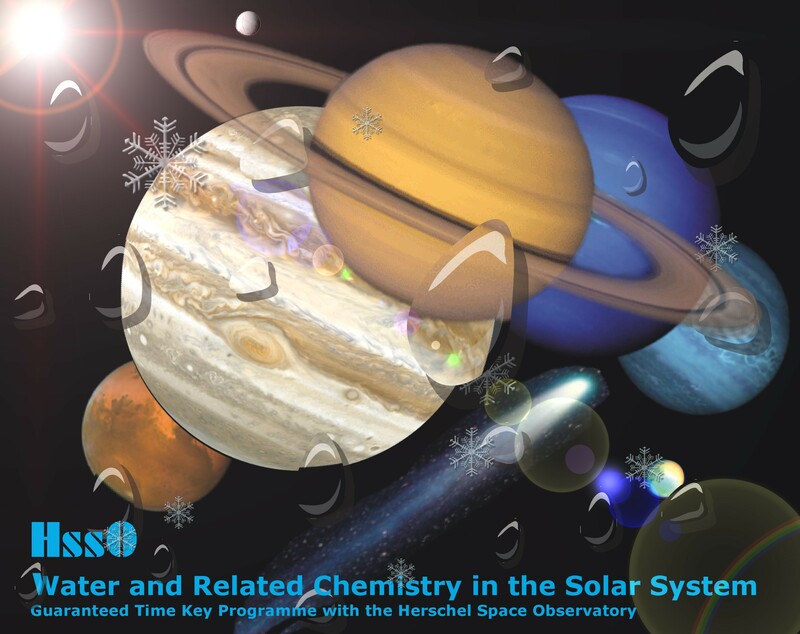 This page provides information for the community of the Guaranteed Time Key Programme (GT KP) with the Herschel Space Observatory titled "Water and Related Chemistry in the Solar System", also known as Herschel Solar System Observations (HssO) project. The Herschel Space Observatory, a cornerstone mission in the European Space Agency (ESA) science programme, was succesfully launched on 14th May 2009 and will be operated as an observatory facility. Herschel is the only space observatory to cover the spectral range from far-infrared to submillimetre wavelengths (approximately the 55-672 μm range). It carries a 3.5 m diameter telescope and three instruments: two cameras/medium resolution spectrometers (the Photodetector Array Camera and Spectrometer (PACS), and the Spectral and Photometric Imaging REceiver (SPIRE)) and a very high resolution heterodyne spectrometer (the Heterodyne Instrument for the Far Infrared (HIFI). HssO has 293.7 hours allocate during three years of routine science observations, and will observe Mars, the four Giant Planets (Jupiter, Saturn, Uranus, and Neptune), the Saturn's moons Titan and Enceladus, and five comets (four known ones and one target of opportunity comet). 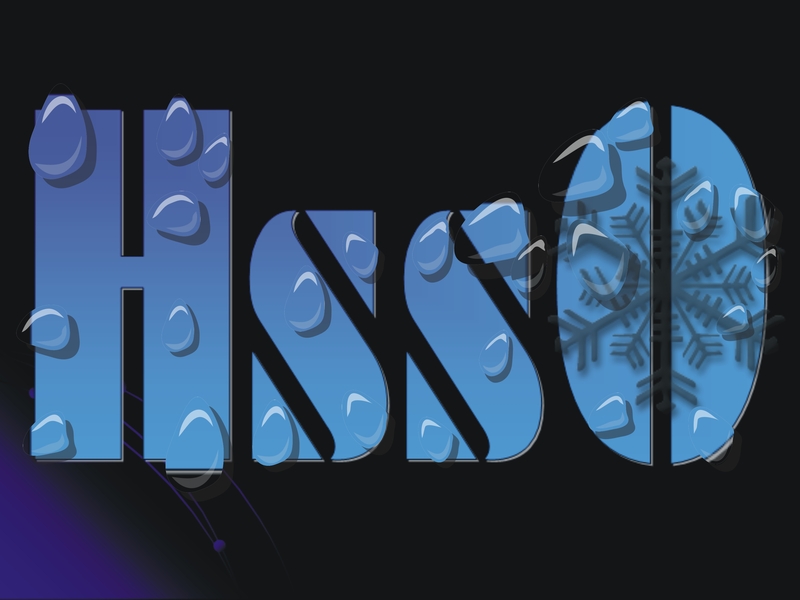 HssO addresses the broad topic of water, its isotopologues, and related chemistry in planetary and cometary atmospheres in order to study their formation and evolution. 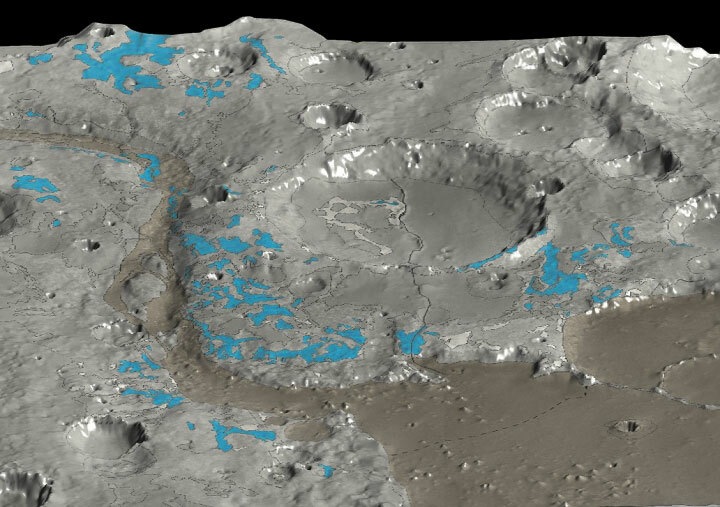 Water is ubiquitous in the Solar System, being present in gaseous form in all planetary and cometary atmospheres, as ice on the surface and subsurface of Mars, comets, most planetary satellites and distant bodies, and in the liquid phase on Earth. Water plays an important or dominant role in the chemistry of planetary and cometary atmospheres. Comets are sources of water for planets through episodic collisions and continuous production of ice-dust grains. This proposal addresses the broad topic of water and its isotopologues in planetary and cometary atmospheres. The nature of cometary activity and the thermodynamics of cometary comae will be investigated by studying water excitation in a sample of comets. The D/H ratio, the key for constraining the origin and evolution of Solar System species, will be measured for the first time in a Jupiter-family comet. A comparison with existing and new measurements of D/H in Oort-cloud comets will constrain the composition of pre-solar cometary grains and possibly the dynamics of the protosolar nebula. New measurements of D/H in Giant Planets, similarly constraining the composition of proto-planetary ices, will be obtained. The D/H and other isotopic ratios, diagnostic of Mars' atmosphere evolution, will be accurately measured in H2O and CO. The role of water vapor in Mars' atmospheric chemistry will be studied by monitoring vertical profiles of H2O and HDO and by searching for several other species. A detailed study of the source of water in the upper atmosphere of the Giant Planets and Titan will be performed. By monitoring the water abundance, vertical profile, and input fluxes in the various objects, and when possible with the help of mapping observations, we will discriminate between the possible sources of water in the outer planets (interplanetary dust particles, cometary impacts, and local sources). In addition to these inter-connected objectives, serendipitous searches will enhance our knowledge of the composition of planetary and cometary atmospheres. Plumes of icy material extend above the southern polar region of Saturn's moon Enceladus as imaged by the Cassini spacecraft in February 2005. The monochrome view is presented along with a colour-coded version on the right. The latter reveals a fainter and much more extended plume component. 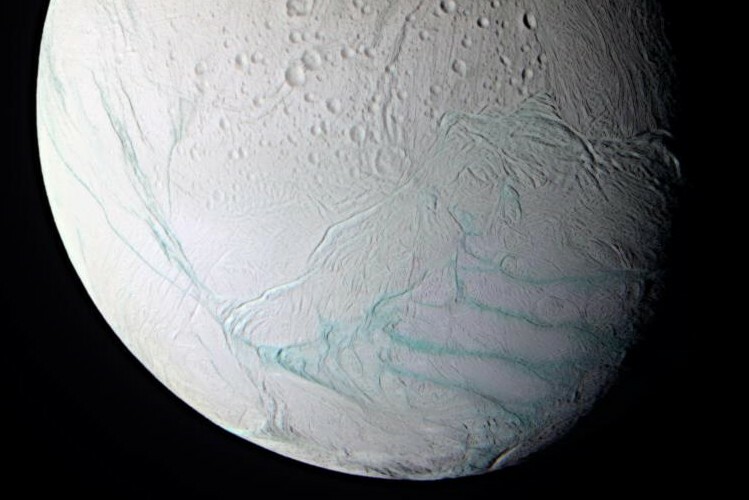 This clear-filter image was taken with the Cassini spacecraft narrow-angle camera at a distance of approximately 321 000 kilometres from Enceladus. The image scale is approximately 1.8 kilometres per pixel. Credits: NASA/JPL/Space Science Institute. 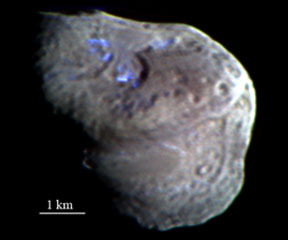 The three small areas of water ice on the surface of Tempel 1 appear in this image, taken by an instrument aboard NASA’s Deep Impact spacecraft. Photo credit: NASA. The presence of water vapour in the atmosphere of Titan is revealed by infrared emission at wavelengths of 39.37 and 43.89 microns. 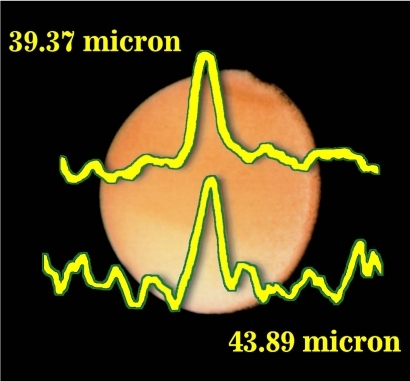 The European Space Agency's Infrared Space Observatory (ISO) observed Titan with its Short Wavelength Spectrometer during several hours of observations in December 1997, when Titan was at its farthest from Saturn. 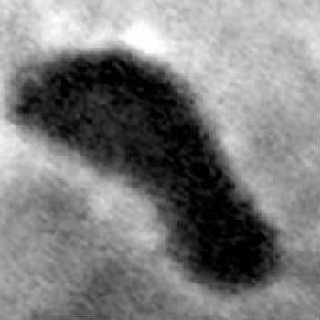 NASA's Cassini orbiter captured this view of Titan's Ontario Lacus from about 680 miles (1,100 kilometers) away in December 2007. A bright shoreline surrounds the hydrocarbon lake. This makes Titan the only body in our solar system beyond Earth known to have liquid on its surface. Last update: 26 July 2011.